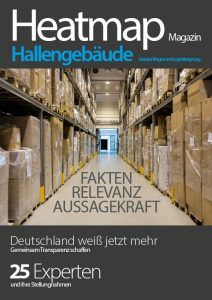 The German market for logistics and industrial property closed in 2018 with a decline in investment volume. Properties changed hands for a total of approximately €6.7bn, which was 28% lower than in the previous year. Nevertheless, the total exceeded the average figure from the last five years (€5bn). “Overall, we are also continuing to see the sector gain in relevance in the institutional investment market. Investors remained focused on the top seven logistics regions in Germany,” says Matti Schenk, Senior Consultant Research Germany for Savills. These seven regions accounted for around €2.9bn or 43% of the transaction volume in 2018. While the growth in online retail continues to drive the maturing logistics sector, a number of leading indicators are pointing towards deterioration in real economic conditions, with foreign trade, in particular appearing to lose momentum. Demand for industrial and logistics space is unlikely to be immune to the effects of this but, in view of the long-term structural growth of the logistics sector, is likely to rise further. “Firstly, demand for properties in excess of 5,000 sqm is growing. Transport companies are providing significant impetus and absorbing the most space,” says Peter Salostowitz, Managing Director of consultancy firm IndustrialPort, which analyses the logistics and industrial investment market in partnership with Savills. “Secondly, demand for new-build developments is rising immensely, since these are more efficient than existing properties in terms of both space and energy and are hence more economical to run.” This is also being reflected in the market, with a higher proportion of speculative developments last year (50%) than ever before. “From an investor’s perspective, business parks are becoming more relevant. While their diversified user structures and ongoing maintenance requirements produce relatively high asset management costs, the same traits generate ample upside potential,” says Bertrand Ehm, Director Industrial Investment for Savills. In the Visio in Munich, the Kodak site in Stuttgart and the Clinton headquarters near Berlin, three deals in the segment were among the top 20 transactions of last year, contributing towards a total volume of €735m, or approximately 11% of the overall investment, and an increase of 54% year on year. The segment also accounted for around 22% of investment in the top seven regions.